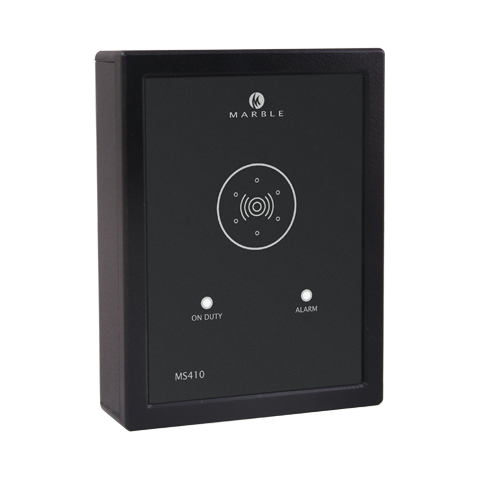 The MS 410WM is a substation for the officers cabins and/or the officers mess. This panel has a green LED which indicates that the bridge watch alarm is activated and the timer is counting down (3/12 minutes). The red LED and the internal buzzer indicates that the on duty officer did not respond by resetting the watch alarm and direct assistance from the backup officer on the bridge is required.